Submit the form below and we will make an appointment to give you a free Design & Measure. We specialise in made to measure roller, venetian, vertical, roman pleated blinds and curtains in Portsmouth Hampshire and surrounding areas. Our blinds are made to your personal specification, with a wide range of materials, colours and options available to create individual styles. We are a well established company and have served the south of England since 2011. We have the infrastructure and buying power to bring you the best materials at the best price together with the experts to install your blinds & shutters. We believe in honest no quibble trading with our clients. We deliver what we say we will and all our products and services come with a full guarantee. There are no hidden fees or small print to worry about and we explain our service procedure at every stage. As an established company we can offer the highest quality of materials to our clients. We research constantly for the best and newest product ranges and negotiate the most competitive prices with our suppliers to ensure we bring you a cost effective solution. Perfect Fit Pleated blinds installed today.- Keeps your window sills & doorways clear.- Opens with windows & doors, no blowing around.- Completely Child safe.- No screwing or drilling into your window frames (all push fit)- 25% off Perfect Fit Pleated only until 31st May 2017.Contact us to arrange your free quotation or you can send us your glass sizes for an estimate. It´s great to get feedback from our customers……. Sincere thanks to our customers who gave us their feedback. It´s always nice to know that we have provided a great service and that they are happy with the final result. Brilliant !! Will definitely tell everyone about these guys. Great service amazing value compared to others! 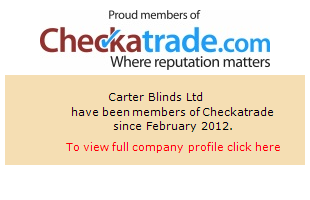 Fantastic quality blinds and cleaned up as if they were never there. Just had the whole house fitted with new blinds. From start to finish was perfection. Professional, tidy and extremely friendly and polite. I will be recommending them to all who will listen. The blinds are excellent quality and make the house shine. Can’t wait to have the blackouts fitted ..
Their service was exceptional was start to finish – they really do go the extra mile, they were clean, prompt and polite. Competitive prices and the final product is second to none. Would use again and recommend without thinking! A Quick Look at some of our products….